Apple regularly unveils Product Red devices in a bid to help notable charitable causes. And on Monday, the tech firm unveiled special edition versions of the iPhone 8 and iPhone 8 Plus to support The Global Fund in combatting AIDS and HIV. Having gone up for pre-order through the Apple website on Tuesday, you’re now able to purchase the handsets in Apple stores in a plethora of locations across the world. From today, customers can pick up the red colour iPhone 8 models in Australia, Canada, China, France, Hong Kong, New Zealand, Singapore, the US and the UK. By the end of the month, they’ll be available in Brazil, Denmark, Ireland, Italy, Malaysia, Mexico, Netherlands, Norway, Russia, Saudi Arabia, South Korea, Spain, Sweden, Switzerland, Taiwan, Thailand and the UAE. However, people living in Chile, Colombia, India, Israel, and Turkey will have to wait until May to get their hands on the highly popular devices. To find out if your nearest Apple Store has these handsets in stock, all you have to do is visit the company’s website. That way, you’ll be able to order and pick up the phone in-store. A report from MacRumors suggests that Apple fans shouldn’t have any issues ordering both the 64GB and 256GB versions of the handsets. However, they could easily go out of stock. In terms of prices, the 64GB iPhone 8 costs $699, while the 256GB iPhone 8 will set you back $849. Meanwhile, the 64GB iPhone 8 Plus is $799, followed by the 256GB iPhone 8 Plus at $949. They sport the same hardware and features as the iPhone 8 and 8 Plus models that were unveiled last year, with the only difference being the colour. As usual, you get EarPods, 3.5mm headphone jack adapter, a USB cable and a 5W USB power adapter with your purchase. 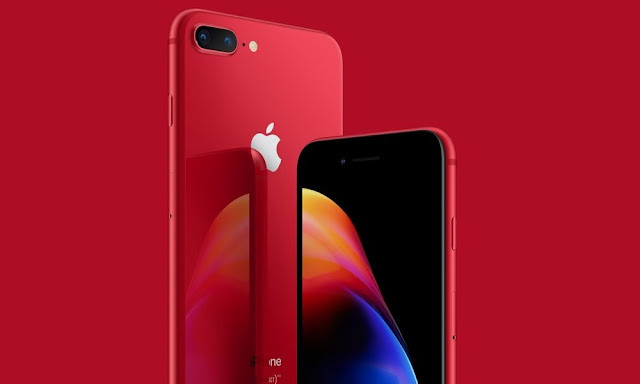 Speaking at the start of the week, Greg Joswiak – vice president of product marketing at Apple – explained that the special edition handset features “a stunning red and black colour combination and also offers customers the opportunity to make an impact in fighting the spread of HIV and AIDS”. He said: “iPhone 8 and iPhone 8 Plus improve on everything we love about iPhone, including Retina HD displays that are more beautiful than ever, the most powerful and smartest chip ever in a smartphone with the A11 Bionic and more advanced cameras for unbelievable photos and videos.